Summer is the perfect time for outdoor fun, but it’s also the perfect time to go green! Every day actions can add up to something big. Check out these five tips and help contribute to a healthy, sustainable planet. 1. Set your thermostat as high as you can. 78 degrees is often recommended as a reasonably comfortable and energy-efficient indoor temperature, but you can also set the thermostat higher during the day when no one is in your house or apartment for added savings. When you’re home, make sure to close doors and shut off vents to rooms you’re not using — there’s no reason to cool a room you’re not in! 2. Keep curtains closed or blinds drawn during the heat of the day. You can help reduce the need for the A/C by keeping shades drawn, especially on hot southern-facing windows. Overhead fans can also keep you cool by keeping air circulating and can typically allow you to raise your thermostat up to 4 degrees higher when in use without changing your comfort level. Remember to keep your vents clean and A/C maintenance up to ensure proper efficiency of your cooling systems. Window fans are a great way to maximize cool night time air. 3. Skip the charcoal — use gas or electric grills instead. Nothing says summer like grilling out in the sun with your friends and family. 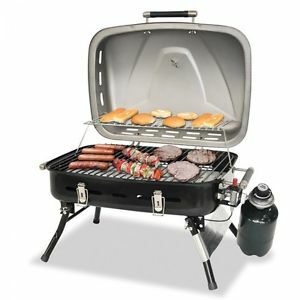 All cooking expends energy, but charcoal grills can be much dirtier and contribute to poor air quality. Try a cleaner burning propane gas grill or an electric one to help keep the air cleaner and lower your environmental impact. 4. Hold off on the single use plastic! 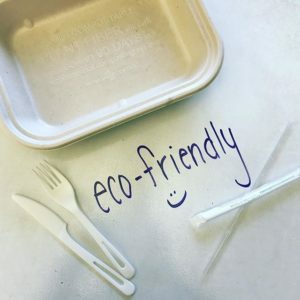 Get reusable or biodegradable plates and utensils. Single use plastics are polluting our waterways and communities. When you can’t find reusable or biodegradable items, at least go for products made from 100 percent recycled materials. Remember to rinse your biodegradable plates before composting — and encourage recycling of cans or other materials by putting out clearly labeled bins at your next BBQ. If possible, skip the straws and minimize all single use plastics. Our oceans, waterways, and wildlife will thank you! 5. Minimize the impact of your summer travels. Travel by bike or mass transit when you can. Obviously, if you get the opportunity to travel far distances, this may not work and that’s totally understandable! Most forms of travel will produce emissions that contribute to climate change. To minimize your impact, try to choose a destination closer to home or one you can reach by transport other than plane. If you are flying, try to choose a direct flight as multiple takeoffs and landings will expend more fuel. Wherever you decide to go, make sure to respect the local environment! Stay on trails and public footpaths, don’t remove plants or feed animals, avoid souvenirs that come from endangered plants or animals, and of course, never litter!